Bonjour lecteurs! As a maman, I am always on the lookout for the best products for my Baba. Now that he is two we tried so many items. Some were a hit and others a big disappointment. We shared before with you our baby essentials. 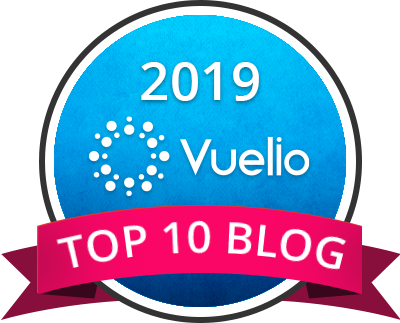 But the product we are about to present you today should really be added to this list! 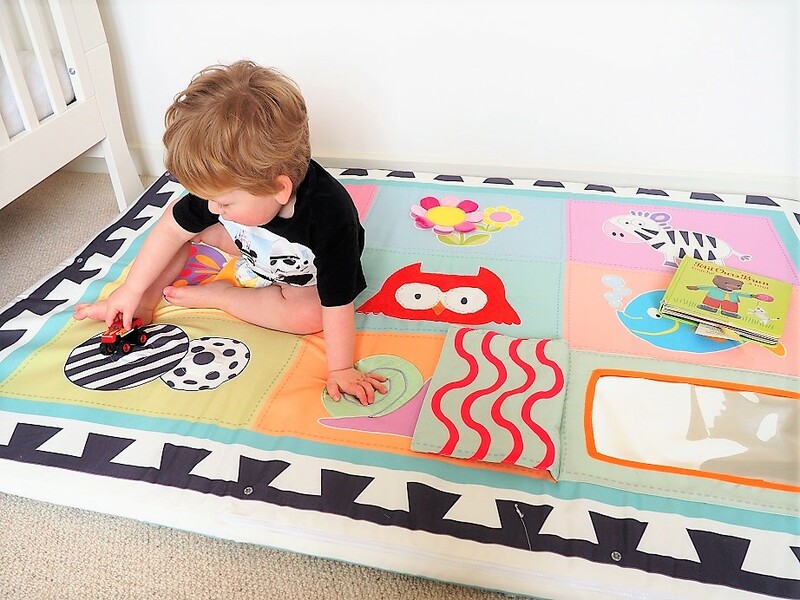 We discovered this cute brand at Bubble London and today, our JayceeBaby Perfectly Padded Playmat Review will show you something that you can use with le bébé and keep when they grow up! Plus, we teamed up with this fabulous brand as one of our lucky readers will be in to win 1 JayceeBaby Perfectly Padded Playmat worth £65! I say it is the best way to finish the weekend! But see now why we love this item so much! 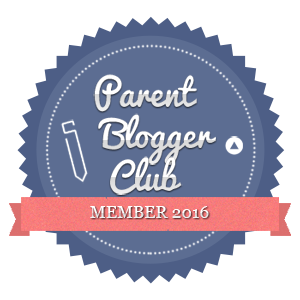 We are proud to feature JayceeBaby today on the blog. The label and the so cool playmat was created by Sayjel and her sister Sonal. 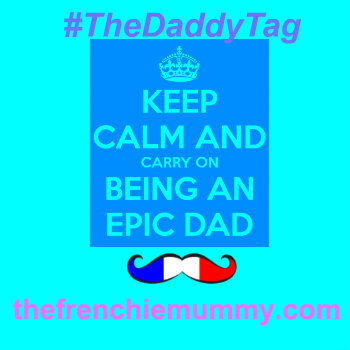 So yet again, the Frenchie Mummy Blog is supporting an independent business but not only! Because it all started when Sayjel became a maman! Like moi, she wants the best at all times for her little one. So when her boy was born, she did everything to keep him safe and secure in every way possible. You know the feeling, right? When it came to buying a baby playmat, however, she did not come across with THE ONE. As she explained on her website, ‘the small ones were simply that – too small. Large ones weren’t soft enough’. We used to have a playmat when Baba was very little and reading this, I actually agree with Sayjel. I remember mon bébé playing on this tiny little mat and yet even if he liked it at the time, I now realise that it was very thin. Maybe not even padded enough for his protection? So Jayjel decided to combine forces with her sister and together they created a soft and safe, yet stimulating play environment for babies and toddlers. The JayceeBaby Perfectly Padded Playmat was born! Generously padded – 5cm thick indeed! Plus so easy to fold when you don’t want to use it! stylishly designed, it features some great colours that would fit perfectly in any nursery! I must admit that I was really surprised when by its size when we received it. I have bien sûr seen it before but it looked so luxurious. Gorgeous actually compared to the one we used to have when Baba was little. He saw the good stuff on it straight away! Mon petit monstre was so happy, jumping around when we got to take it off its packaging. Baba was fast to make the most of the toddler’s side with the track. All the cars he possesses were out and he got playing. La Frenchie Maman was not to complain… Quietly, she went to her office and get going with her blog. Quick Mum! Let’s get all my cars so that we can get playing! A Baba happy playing and Maman being able to work while she knows that her little one is safe and having fun? A great start! Even if we mainly used the toddler’s part of this product, let’s show you how you can use it early on with a bébé. With a softer surface to help with tummy time and other acrobatics that only babies know how to do, there are beaucoup de interactive elements across the mat. We love the choice of colourful animals. Les couleurs are soft and blend so well together. Oui! I might seem a bit superficial but the look counts! It would be idéal in any nursery and we love the large selection of activities that encourage speech and imaginative play. Some crinkly material, sounds, textures and even a large mirror with a cover on it for extra play. It’s pretty much all there! But it’s not only all about les couleurs! The black and white patterns on the edges engage learners from a young age so your little one can enjoy it at an early stage! And because having a baby means a lot of items over time (that your little ones use a couple of times and then it literally ends up cluttering your living space! 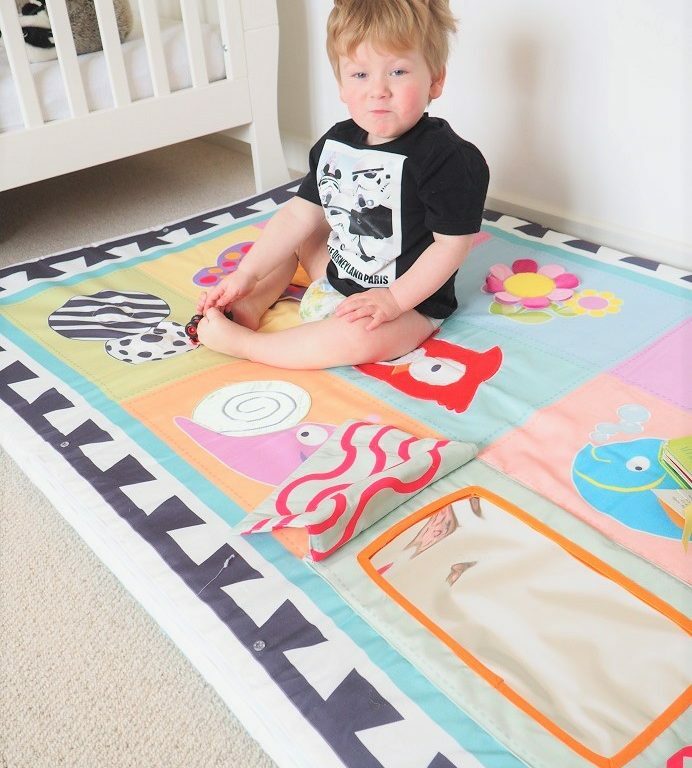 ), we like even more the JayceeBaby Perfectly Padded Playmat! Because it grows with your kids! With its firmer surface, it is parfait to crawl, walk and play with cars or read books! And good for reading time too! So comfy, we used it in the living-room for Baba to play and do whatever he likes the most. But it also helps him learn as he can discover new objects and names. Baba is a lazy boy and yet to talk much. He has not screamed ‘Ice Cream Van’ so far but I like the possibilities of games that this side proposes: memory game, practising colours and so much more! And with some fab guests on it! Plus this little fancy world help mon enfant to create stories and engage in imaginative play. You might just see Baba playing with his car on the track from the mat, but there was much more than this! No sound for you on the blog I am afraid but I can tell you there were some fab stories and fairytales taking place while my toddler played on this item! 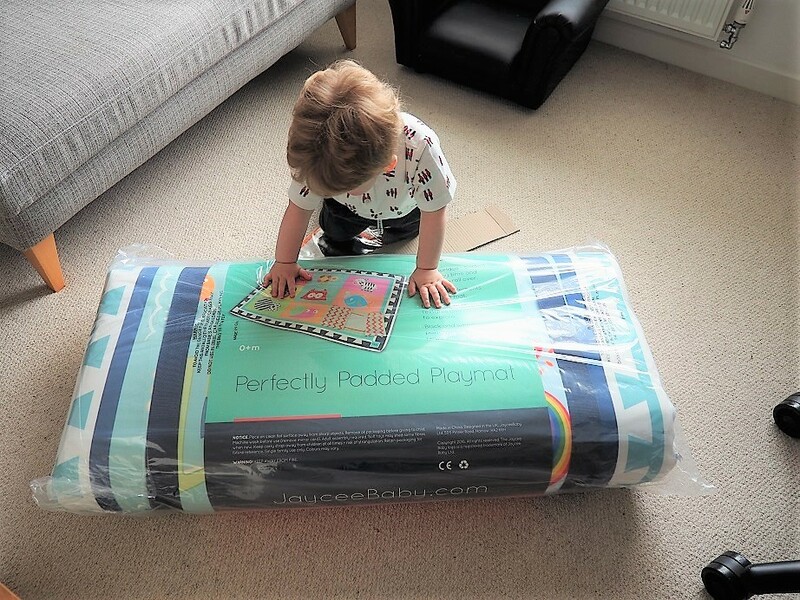 JayceeBaby Perfectly Padded Playmat Review – What else? The playmat also comes with a detachable plastic cover. Pop it on and you can use it for messy play. We have not used it this way. My carpet is very beige and I am too worried that something will happen to it so I have not been brave enough to do it yet. However, we will definitely take it out in the garden for some fun when it is warmer. 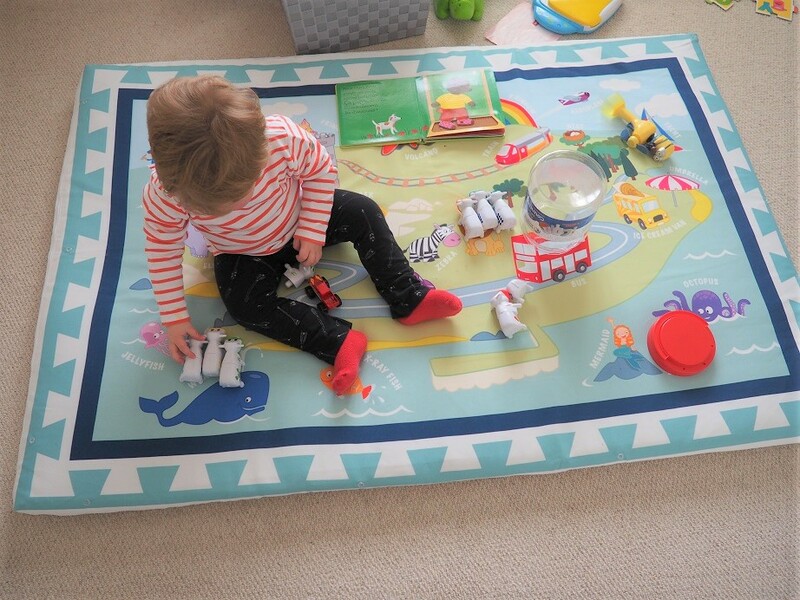 The playmat is handy too if your little one is a gourmet like my Baba and enjoys (a lot of!) food in his day! No worries about getting it dirty with the cover. 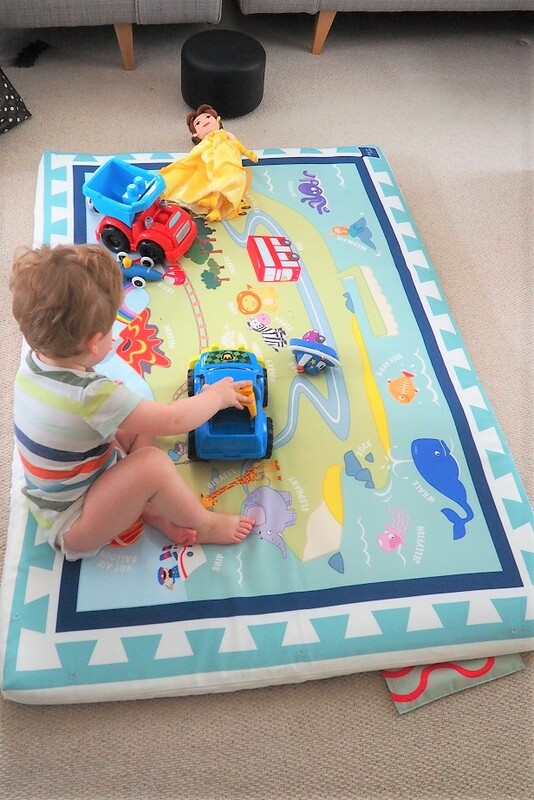 We absolutely love our JayceeBaby Perfectly Padded Playmat. It is so luxurious and we love its versatile use. Plus its large surface allows so much room for playing and relaxing both at home and outside. 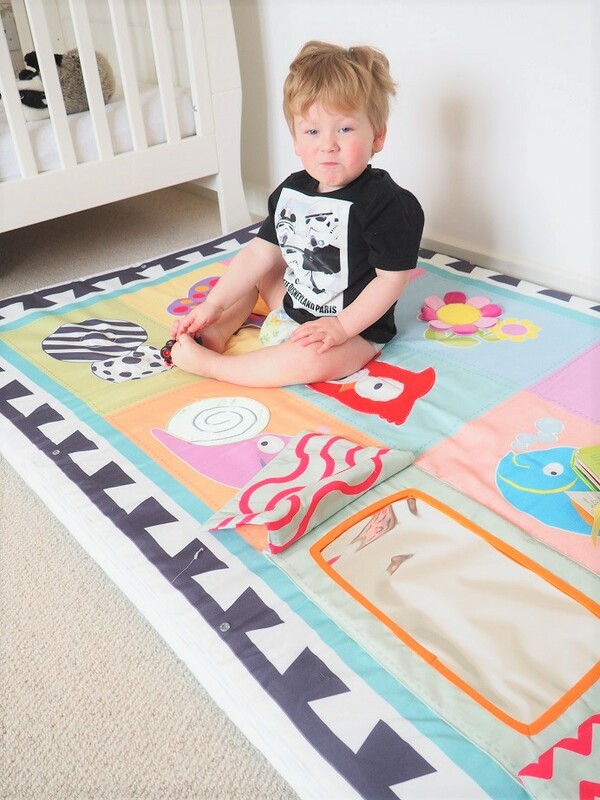 Created for both babies and toddlers, the mat can be used for so many years too so it’s a great investment. The extra padding is parfait to protect little heads and teeth from knocks when engaging in tummy time, and still engage your little ones once they are toddlers. I love the fact that it encourages speech by naming objects! Plus it’s a cool mat to decorate the room when not in use! Another great feature that Frenchie Mummy likes? The water-resistant fabric that is easy to clean so that I know we will keep it neat for a long time. A very happy boy on his mat! So much care was put into this playmat! Pas de surprise as a maman created it! So Sayjel knew very well what mummies are after for their little ones: the best bien sûr! This product might seem a bit of an investment as it retails at £65 but I think it is really worth it as you can use it for so long and in so many ways! No need to buy tons of items that your little one will only use sometimes. Get this and you are covered for a couple of years! Plus it is too pretty to be ignored! Looking for the perfect playmat for your little one? 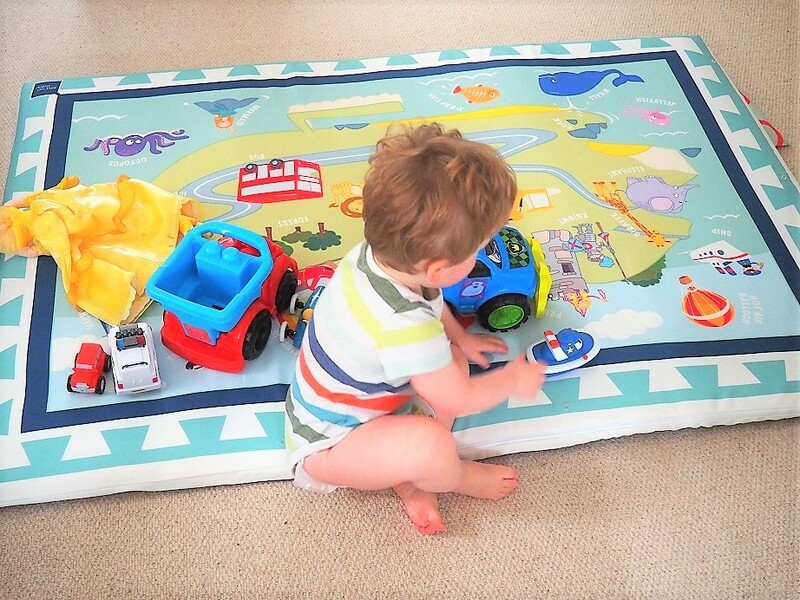 Enter now our giveaway to win 1 JayceeBaby Perfectly Padded Playmat worth £65! This giveaway starts on Sunday 8th April at 7 pm and ends at midnight on the 8th May. We will select a winner at random. Provision of the prize is the responsibility of JayceeBaby. Frenchie Mummy can’t be held responsible. Please note: By entering the giveaway, you agree with the storage and handlings of your data by this website! 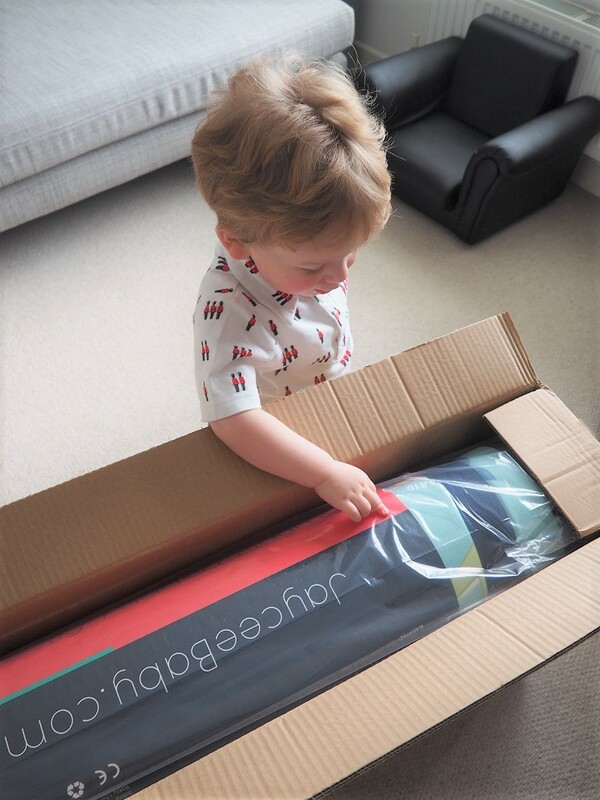 Merci for reading our JayceeBaby Perfectly Padded Playmat Review. We are so happy when we discover such a fab product, pas vous? 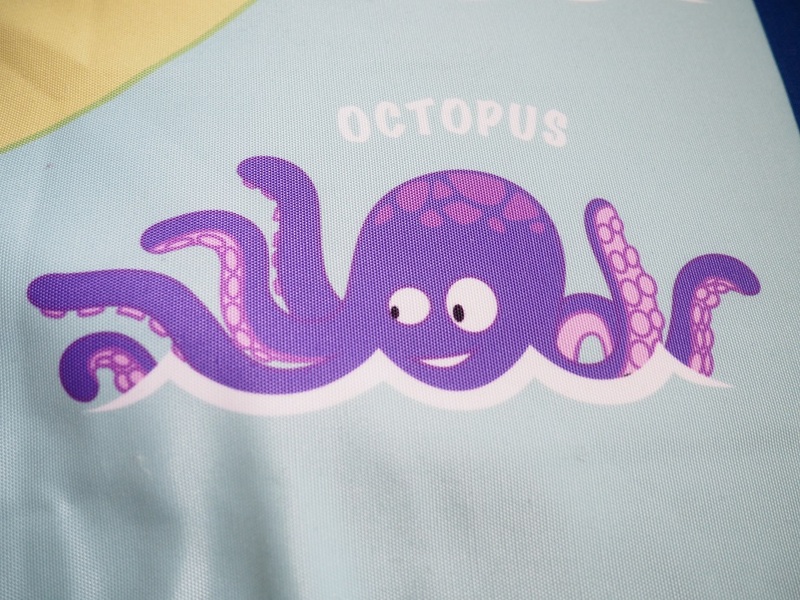 If you want to order one for your baby, the brand is currently running a promotional campaign. 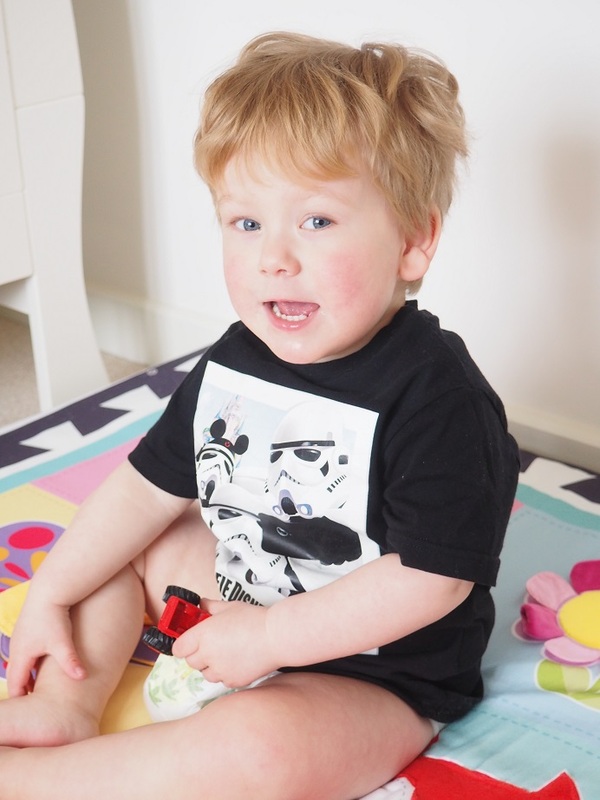 Use the code PLAY15 and get 15% off our oder! Disclosure: This post was written in collaboration with JayceeBaby. I think its just perfect for a baby or toddler to play on, its decorative and designed to occupy the child and also easy to keep clean and hygenic. Looks great for both indoor and out! Not many play mats are padded! Looks fun and practical too! 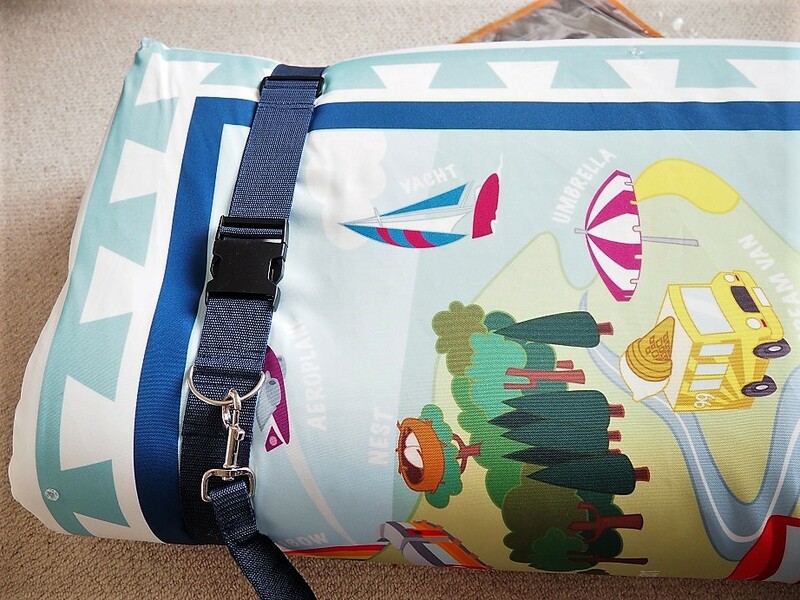 This is definitely the best play mat I’ve seen, the padding would be such a panic saver when my baby throws herself backwards as well as helping to keep her entertained. Its very practical tht it grows with your child. A lot of mats are for small babies and are wipe clean only. Its great that this has a detachable cover. Love that the mat is well padded and easy to clean. It’s a brilliant size and portable too! I love it. I have solid floors and even with thick carpet I worry about bumped heads so a lovely, large padded playmate would be perfect for us. We love playmats. Great for getting on the floor with baby yourself too. This would be perfect for my childminding children. With so many items being suitable for few months only, it is nice to see a mat, that can be used from baby to toddler. Used inside and in the garden. Would love this for our little one! Looks wonderful and soft for babies! It’s a lovely playmat, bigger than I thought it would be. I don’t have any children but would love to win this prize to donate to charity, to go to Romania. Bright and Fun, they are visually great…..
i love this! it’s great that it’s waterproof and well padded so no injuries! I love the bright colours & attention to detail! Looks fabulous. Would love to win for my granddaughter. Seems like a quality product. What a fantastic product, padded, bright design that grows with the child, so practical, for messy, and clean times. Looks like a great playmat- practical and lots of fun. Love the bright colours and the extra thick padding is great as most mats are very thin but this mat would be great on wooden floors. looks like a great playmat! 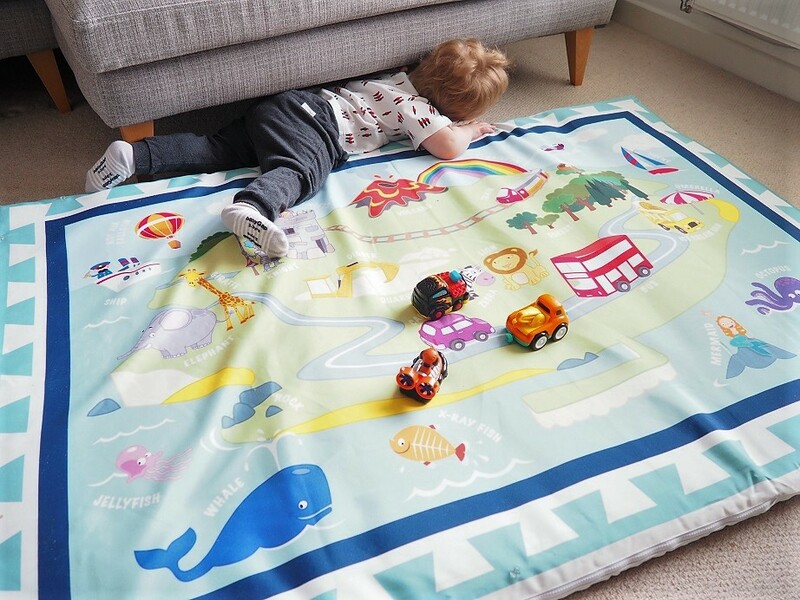 A lovely play mat which would be so useful, especially as it’s reversible, suitable for both babies and toddlers and therefore extending the number of years it would be in use. The colours are attractive and the extra thickness will make it so much more comfortable. It looks like something that could give me a break, the baby could easily amuse itself with this so I could enjoy my cuppa for a moment or two. Amazing mats my granddaughter would love one. 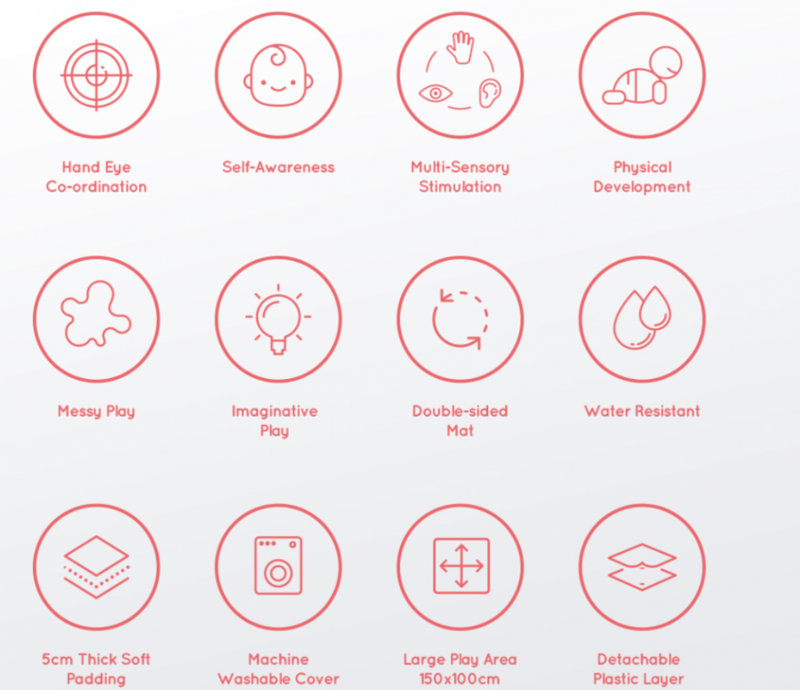 I like the fact that it’s multi-sensory and machine washable. I really like the sound of it, especially the different textures and prints to engage baby. Provides great entertainment for baby/ child. Love the look of this, so often playmats aren’t padded enough! Great designs! Love the colours. I’d love to win this mat for a new little grand-child. It’s so practical, comfortable and would be in use every day! I love that it’s soft and safe, yet a stimulating play environment for babies and toddlers. Looks amazing for babies development ? 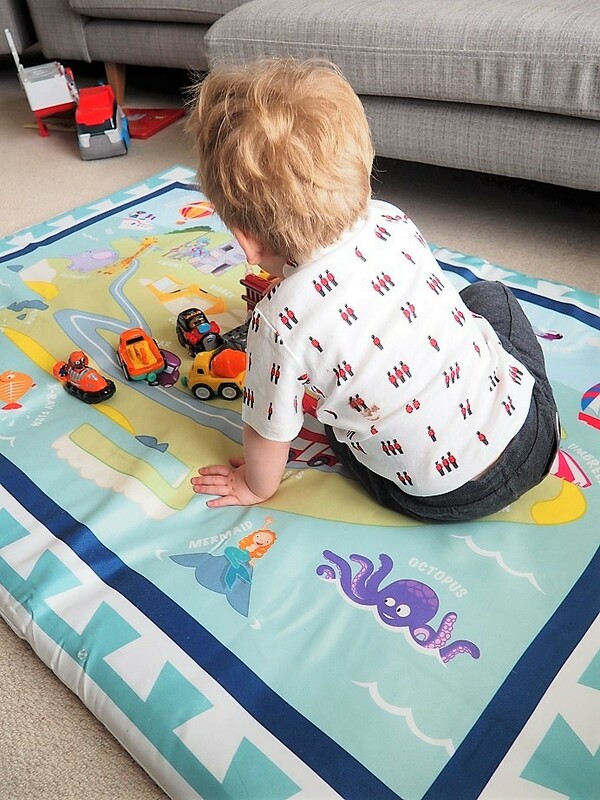 When I visit this blog each day to take part in the competition and read more details of the prize I am even more convinced that it is the best play mat for my new grand-child and will save many bumps and tumbles when learning to roll over and sit. This looks amazing and really comfortable for baby to sit and play on. Love the design too! Great for baby’s tummy time, development. Looks like fun and also educational! 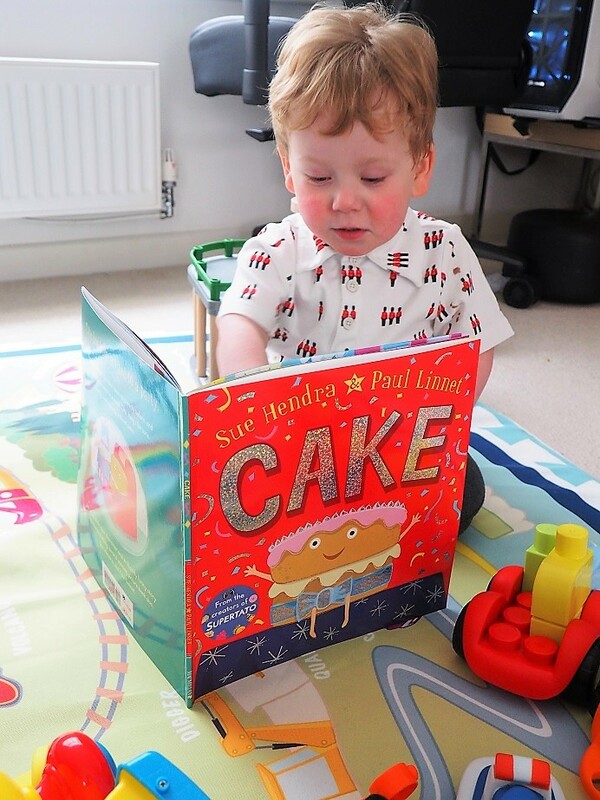 The more I have learnt about this mat the more useful I think it would be – with wood flooring it with give comfort and being reversible even older children will use it – useful too in a reading corner or den. Where has this mat been hiding? It’s wonderful! It looks great. I know it would keep my two entertained and having fun. What a lovely play mat. Great competition. Looks great – very comfy! Lovely bright colours to stimulate interest as well as being comfortable to lie on and portable enough to take to Granny’s!! I love that it is so colourful and padded and the two sides giving more choice! The mat looks really comfy as some look like they wouldn’t give any cushioning to the child. It’s the comfort i would like for our upcoming little one. This looks fantastic! I love the generous size and the fact that it’s 5cm thick as I’m very safety conscious when it comes to my little one. This looks great, a useful size and well-padded too. The designs really will stimulate creative play. I think that it looks fantastic. It is very bright and colourful. Also it looks high quality and well made which is extremely important. I love that it is extra thick, usually playmats are so thin. Awesome idea. Big enough for the little one and I’m sure for busy parents would double up as a downstairs changing mat. It looks ideal for my eldest I used a duvet for her to sit and crawl around on now my youngest us sitting up and will start moving around soon it would be perfect! My nephew would love a play mat like this. It looks great, very colourful and interesting for little ones. Very comfy for little knees. GREAT! would be perfect for my grandson who is just at the stage where he likes to lie on his tummy and lift his head to look around. he would have months of use out of it as he grows. fabulous prize. This playmat looks unique and top quality, perfect for baby grandchildren. Looks very good quality and like the idea that is has both a baby and a toddler side. Love the great colours and double sided design for my grandson! A very entertaining and educational playmat which will certainly help the little one to develope an imaginative mind as he grows!! Great product for little one to make use of whilst growing up, and developing. Next Next post: Living Arrows 15/53 – Private Catwalk!